Here are some of my favourite “from scratch” recipes. Unless otherwise specified all recipes are my own – either my own creation or adapted from classics. As ever, I am keen to get your feedback. If a recipe doesn’t work for you, if you can’t find an ingredient and would like a suggested alternative or if you have a suggested improvement or tips that others might find useful, please feel free to leave feedback using the “Comments” feature. Based on feedback from readers, all my recipes now include measurements in both grams and ounces. Liquid measurements are in litres and US pints (where 1 litre = 2.11 pints). Any rounding done as part of the conversion will not impact the outcome of the recipe. I find cup measurements to be imprecise, especially for baking, so I don’t use them. However, if you wish to convert to cup measurements I have found this site to be the most comprehensive and the easiest to use. To search for a particular recipe or ingredient, please use the “Search” function at the bottom of the side menu. Please note that some videos may not be viewable on mobile devices such as phones and iPods. If you are having difficulty viewing these videos, please try viewing from a PC or laptop. 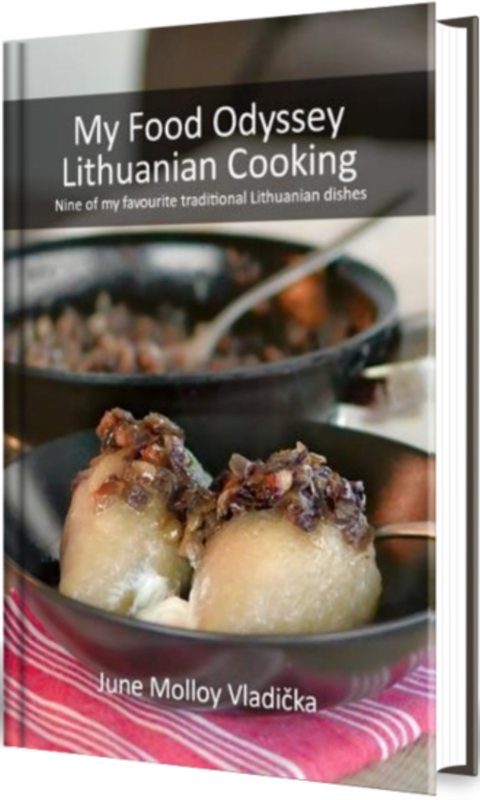 I want to congratulate you on your Lithuanian cook book available on Amazon! I will be purchasing a copy today. I will be trying your tortilla recipe also today. I have been working with masa harina corn flour for tortillas but can only get to 6+” dia.. I know flour tortillas can get to burrito size as in your recipe.I’ll let you know how it goes. Say, if my wife and I planned to come to Lithuania,(on our “bucket list”) would you be interested in giving us a personalized tour of the county? We would plan day 1 in country, day 2-5 tour country, day 7 leave country. Of coarse in addition to your tour guide fee and setting up acomodation and transportation we would pay for all your room, transportation and meals expenses during the tour. This would also include your suggestions as to where to land and depart Lithuania as well as any other arrangements you would make on our behalf. You have a really lovely and interesting blog! And the recipes are great, will have to try the cold beet soup when the weather gets warm here (borscht being one of my faves). And I think I’m actually part Lithuanian on my Dads side:) Thanks for stopping by my blog! Like my recipe style? Hire me!